Join United Earth, Elect a United Earth Government. Save the Earth with the People, Animals, Environment, Plants, Natural Habitat, Natural Resources, Education, Act against; Disasters, Deceases, Poverty, Conflicts and War, Cruelty, Population Explosion, Gangs, Terrorists, Drugs, Bad; Political and Economic Systems, Governments, Leaders, Misinformation and Establish Justice, the Critical Issues facing the Earth. Democracy and Capitalism, Communism with One Party and Dictatorships with National Borders, Do Not Represent All the People, the Animals and the Natural Habitat, as per Past and Recent Performance History of World Governments, as in the Evidence of Poverty with Widening Unfair Distribution of Wealth, Security, Conflicts, Torture and Slaughter of Animals, Non Sustainable Development with Deforestation, Loss of Habitat, Species and Depletion of Non Renewable Resources. These Systems of Governing have Failed. In order to Save the Earth, we need to find a New and Sensible Political and Economic System to Govern the Earth, capable of addressing the Critical Issues identified above. We need to Tame both Capitalism and Communism, Find a Good Balance between Financial Security, Material Needs, Environment, People’s and Animal’s Rights. It is Absolutely a Must that We Do Not Leave a Scorched Earth to our Children, the Animals and the Natural Habitat. United Nation`s Hands being Tied by the World Governments It Represents, Unable to Pass Resolutions and Take Actions on the Critical Issues. Therefore Establish a New World Order, a United Earth Government (UEGOV), Common to the Whole Earth, Elected from a Pool of Proven NGOs (Non Governmental Organizations) and Activists Working on the above Critical Issues, UEGOV being at the Top of Power and Authority Hierarchy, Sharing Some Powers and Jurisdictions with the UN and Elected World Governments, Covering the Critical Issues, United Earth Court, United Earth Security and Peace Keeping Force, Ratify and Implement Earth Law. Assure Safe, Secure, Peaceful, Healthy, Happy life for all the People and Animals and a Healthy Environment on Earth Now and in the Future. This is to Request the UN and the World Governments to Recognize the United Earth Government (UEGOV), once Elected as Stated Above. These Critical Issues Facing the Earth are Tied to each other. If We Do Not Address these Issues and Act Now, We Face Chaos Leading to Annihilation of this Earth. This Earth with the Animals, Trees, Air, Waters, Land and Resources are Not Only Just Ours, to Eat, Cut, Use, Take, Destroy, and Pollute, but Belongs to all Living Breathing Things on Earth. We need to Change our Selfish Attitude from All Mine and Everything is for Me to Sharing this Earth and it’s Resources with other People, Animals, Plants and Save Mother Earth. Admitting they Have Not Done Enough to the Required Level or at the Needed Pace, to Solve the Earth’s Life Threatening Critical Issues. Besides Letting Violence Against Innocent People Take Place in Recent Times is Not Acceptable at all. It is Sad to Say that the World Powers Have Had their Chances for More than Several Decades to Rectify these Matters. Now it is Time to Help Establish a United Earth Government or Stand Aside and Do Not Obstruct the One and Only Chance for the Earth’s Survival Before it is Too Late. It is absolutely a must that all the good nonprofit organizations, working on people, animal, and environmental issues and concerned deeply about the future of our planet, Corporate, be United, Create a Common Organization, become One Entity and Act Jointly. Being United will Make us Very Strong, Strong Enough to Face the Mighty Forces which are Leading us towards a Scorched Earth. It will pave the way to send a clear message with resolve to the whole earth to be heard loud and clear. It will make a huge impact needed to organize, act, succeed in achieving our goals and address some of the Critical Issues facing us. Our strive for survival, jobs, desire for basic needs and comforts is being exploited by the rulers in Capitalist, Communist and Dictatorship governments, with money trickling down from the top Economies, which give priority to Oil, Finance, Mining and other Companies, CEOs of these companies and the Wealthiest, at the expense of People, the Animals and the Environment. They are more concerned about the current and the next few years under their rule, completely ignoring the disasters and destruction facing us in the near future, if we fail to act now. We need to Elect a United Earth Government, with the Candidates being selected from a pool with Proven History of Love and Care towards People, Animals, Environment and Natural Habitat etc. One may ask that who gets to decide which candidates qualify. The author believes that, in the beginning it should consist of Outstanding Proven Non Governmental Organizations and Activists working on the Critical Issues. People, Animal, Environment, Natural Habitat, Natural Resources, Peace and Justice Lovers Join United Earth, and Create a New World Order, a United Earth Government (UEGOV). Powerful Companies, Billionaires, CEOs and Bad Politicians who put Them ahead of everything else, Some of them, Not All, being Enemies of the Earth, are Not Going to Lay Down or share their Power and Wealth for the good of People, Animals, Environment, and the Future of our Planet. This brings us to the question of Revolting Against the System to achieve our goals. But Do Not Practice Violence or use of Guns or Bombs, since such actions result in Death, Injury, Property Damage and Chaos, which Hurts Everyone. Nevertheless, Mother Earth with the People, the Animals, the Environment, Needs to be Defended against Poverty, Violence, Environmental Damage, Deforestation, Loss of Natural Habitat, Loss of Species and all the Injustices forced upon them, from the Enemies of the Earth. The Sad Fact is, based on Past History, it will take a Revolution with Conflict and Confrontation with the Enemies of the Earth, who want to keep their Short Term Self Interests, which may Force some Bloodshed to Save the People, the Animals and the Environment. This Revolution has to be Led by Earth Lovers, who Care Deeply about the Future of our Planet. Yet we have to be Noble and Wise, Understand that the Violators are doing this out of their Greed and Ignorance, Forgive Them, Enlighten them, Win them over to Our side, so that the Earth Functions as One Body and Soul in Peace and Harmony. We have to Try our Very Best to Avoid Violence, Injury and Blood Shed. With Wide Support from All the People, Animal, Environment, Natural Habitat, Natural Resources, Peace and Justice Lovers, we can Avoid Violence. The Revolution I Foresee Could be Non Violent and could be as though it is just Changing of the Guards in which the Old Guards Leave and the New Guards, the United Earth Government, Takes Over. We should Remind Ourselves of Past History of the Liberation Struggle Led by Gandhi in a Non Violent Revolution Against British Rule in India. To Save the Earth, in addition to acting as an organization, at the individual and family level, we have to Reduce, Reuse and Recycle, Sacrifice our Luxuries, be Sensible Consumers, Conscious about Our Planet, Live a Relatively Humble Life with Minimum Material things, Small Living Space, Small Land, Consume much Less Energy and Generate Not More CO2 and Pollutants per Person as per United Earth Government Guidelines TBD. Stop Runaway Development with Oil Drilling, Mining, Highways, Malls, Over Fishing, Deforestation, CO2 Generating Energy and Products Manufacture and Consumption with Sensible and Sustainable Development. Capitalism Liberated modern societies from Feudalism in which all the Wealth and Power were in the Hands of Very Few Lords. Under Capitalism Economies Thrived in Developed Countries, But Led to Sweat Shops with Economic Slavery, Poverty and Unemployment for Some in Many Developed and Many in Developing Countries. Capitalism Still Concentrates and Grows the Wealth and Control of the Banks, Finance Companies, Businesses, Farms and Lands Owned and Run by a Few, World’s Top 1% Owning 50% of the Wealth, Money Trickling Down from the Top, with Those at the Bottom Getting Poorer, as their Incomes are Low and Need to Borrow from the Banks or other Lenders at High Interest Rates to make a Hand to Mouth Living for the Average Person and a Miserable Life for the Poor. Unfortunately we Do Not Have Twenty Years to Stop this Runaway Madness and to Restore Sanity to the Lives of People, Animals and the Habitat; instead We Have Only a Few Years. Major World Governments are Not Doing Enough About it to the Required Level or at the Needed Pace. Time to start the Correction Process is Right Now Before It Is Too Late. Again this Stresses the Need for a United Earth Government, a Court and a United Earth Security and Peace Keeping Force. With No Agreements between the World Governments or No Effective Plan of Action in Sight, We have No other Choice but to Elect and Form a United Earth Government (UEGOV) to address these Life Threatening Issues Facing the Earth in Time. United Earth is Determined to Unlock and Reverse this Cycle, to Protect the People, the Animals, the Plants, the Natural Habitat, the Environment, setting Target Levels and a Time Line to Achieve these Levels. United Earth Promises with Certainty that We Will Achieve These Goals through Corporation of United Earth with the UN, Governments, Businesses, Good Organizations and the People of this Earth, using Ingenious Ways to form the United Earth Government (UEGOV) or World Government. In any case we have to Enjoy the Simple Pleasures of Life, be Wise, Friendly and Happy, besides loving an being with our loved ones, caring for our pets, exercise, sports, yoga, meditation, tasty vegan food and drinks,� vacationing close to home, hiking, cycling, sailing, canoeing, gardening and so on and on, Enjoying Sustainable Activities. But all of us have to Love Fellow Humans, Animals, Trees and the Natural Habitat, stay within our CO2 Consumption and Pollutants Generation Limits per person per year for Sustainability of Earth so that Life Continues on Earth in Peace and Harmony. All the Issues identified above are Tied to Each Other, Inseparable and Needs to be Addressed as One Huge Issue. Our Course of Action and the Earth Law given below is the Bitter Medicine for the Earth’s Survival. 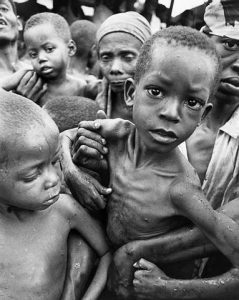 The Skeletons of some of the 800,000 Tootsies Massacred in Rwanda, while the rest of the world governments and the UN watched and did nothing about it. Cow or Steer, Hung in One Leg Conscious and Bleeding to Death, in the Meat Industry. A Monkey In a Lab Experiment Cries Out In Pain, Human Indifference to Pain of Others! A Starving Child in Africa. A Dog being Tortured with its Front Legs Tied Behind its Back and a Can Pushed Over It’s Mouth. A Dog being Beaten to Death in Korea. Pig and Piglets in Very Small Cages Restricted Unable to Move in United States. Chicken is being Mutilated by Cutting off the Beak with a Hot Knife, a Painful Torture in the Egg Industry. Loss of Natural Habitat: Clear-Cut Amazon Rain Forest, Home to Many Species of Animals, Birds and Plants, and Plays a Major Role in the Earth’s Weather. Rapid Shrinking of Polar Ice Cap due to Global Warming, will lead to Flooding of Coastal areas. Severe Drought Regions Caused By Global Warming. Elephant Collapsed and Died in transit for a Circus for Entertainment is being Dragged from a truck. A Bull is being Tortured in a Rodeo for Entertainment. A Milking Cow with hugely Distended Udder, which one can be sure is Uncomfortable and Painful.